Boutique Acreage Estate Hammond Crossing has now released! Award-winning property developer QM Properties have announced the release of their newest boutique acreage estate – Hammond Crossing. 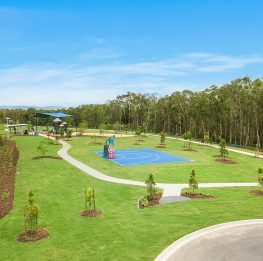 Located just minutes from Caboolture’s town centre, the first and only release consisting of fifteen three quarter acre lots, went on sale September 17. QM Properties General Sales Manager Damien Ross said that Hammond Crossing is ready for action, the lots are all flat, level and usable. “Over the last few weeks we’ve received several inquiries from interested buyers who have lived on the north side of Brisbane for the past 10 to 15 years and are looking for tree change,” said Mr Ross. “Not only are these lots ready for immediate construction to take place, but in terms of maintenance, you’ll only have to hop on the ride-on mower for a few minutes to achieve a pristine lawn. Since the 1970’s, Caboolture’s population has doubled every ten years, with small villages skirting the town now growing into major suburbs in their own right. “Just being a stone’s throw away from the city or the beach, Caboolture has been identified as one of the state’s biggest growth centres and it’s not hard to figure out why,” said Mr Ross. 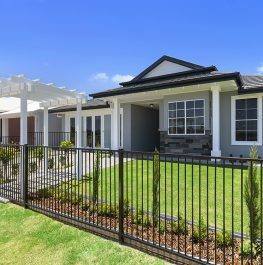 “The location is tremendous, in a matter of minutes residents can be in the centre of Caboolture with access to shops and the train station. 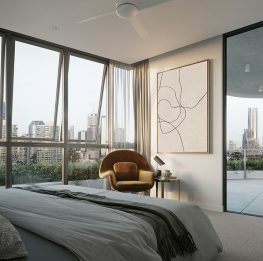 “In nearly the same amount of time you can get onto the Bruce Highway towards the Sunshine Coast or Brisbane, the location of Hammond Crossing is amazing. Hammond Crossing estate has only 15 large, level, easy to build on 3000sqm lots available priced from only $305,000. These large, level offer all the lifestyle benefits of NBN, town water, and underground power. Hammond Crossing features lots with generous frontages that can easily accommodate even the widest of housing styles and facilitate vehicle access to the rear of the property, perfect for caravan and boat owners.